I’m now the proud owner of five new bites, including a rather fetching one on my left eyelid, at least ten new bruises, a face full of freckles and some split wellies. All this after one weekend partying with my ex work wife and Al at Latitude festival. While I had an absolute blast, who wouldn’t love seeing Damon freaking Albarn singing some Blur and Gorillaz classics while conjuring up a freaky lightening storm, I also had a small tragedy. I should highlight that this isn’t really a tragedy at all but I’m trying to create a bit of tension and drama, so stick with me. Ready for it? 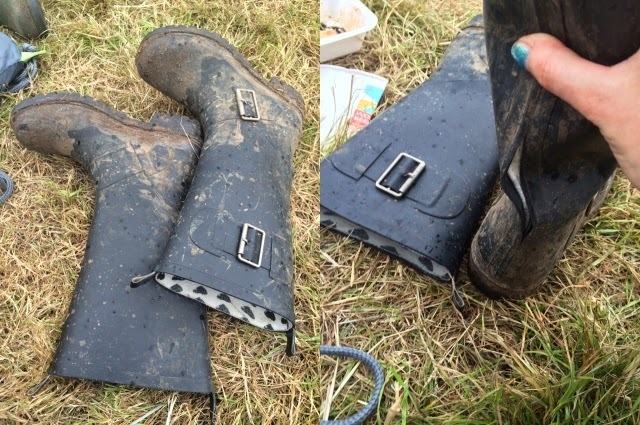 My trusty Topshop wellies split right down the back. They’ve accompanied me to three year’s of Latitude partying and three camping trips with friends but sadly are no more. These boots are no longer walking. However this does give me a very valid reason to look around for a pair of boots to take their place. And I have a feeling this is a role that Dr Marten’s 1460 boots could fill. Trouble is, which pair should I choose? Do I want animal print or patent? Floral or ones covered in white polka dots?